Do you want to rearrange the furniture in your old room? Or you elaborate the design for the new room? Probably you need to clarify if the new wardrobe will accommodate in your room. You just need to create the plan of the room. Planning of rooms are necessary for designers and architectures, builders and for anybody who wants to change something in his apartment. Per se the room planning is the vertical projection or the view from above of the room walls, doors, windows and all objects of the interior. On the planning the real dimensions of all objects, including the height, are denoted, and they are depicted in definite scale. 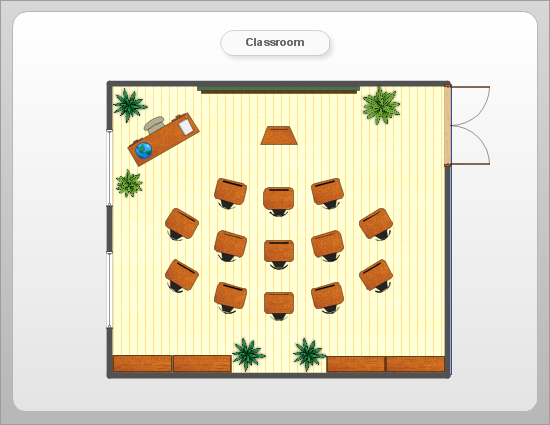 Having the ready room planning you can move objects along the room on the plan and see the ready result at once. In addition to ready objects from libraries you can always draw your own object, for example a table or a cupboard and then place it into library for the further usage. As the plan created in ConceptDraw is not a draft drawn on a sheet of paper, you can move objects and appreciate the obtained result at once. Besides you can move both one object and several objects together. Some objects, like doors, are “smart” - you can control how the door with selected dimensions will open and if the furniture selected by you will not hinder in its opening. 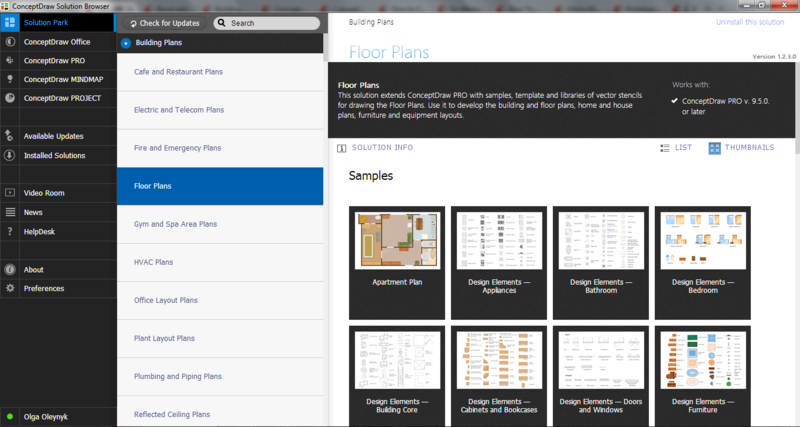 Moreover you can create your plan interactive as you can add hyperlinks to every object. This could be links to web-pages with description of each interior object or to other pages of your ConceptDraw document. On the basis of the obtained plan you can create professional and visual presentation of your design. After you designed the final variant of the room plan you can print it and use as a guide for builders or designers. Also you are able to save your document in one of the numerous formats which are supported by ConceptDraw, to send it to your colleagues by e-mail or post in Internet. Drawing the network diagrams is a complex process which requires a lot of efforts, time and artistic abilities. ConceptDraw DIAGRAM v12 offers the Network Layout Floor Plans Solution from the Computer and Networks Area with variety of predesigned network components for drawing network layout floor plans in minutes.